Iranian Foreign Minister responds to Netanyahu's AIPAC speech in which he vowed to stop Iran's nuclear program. 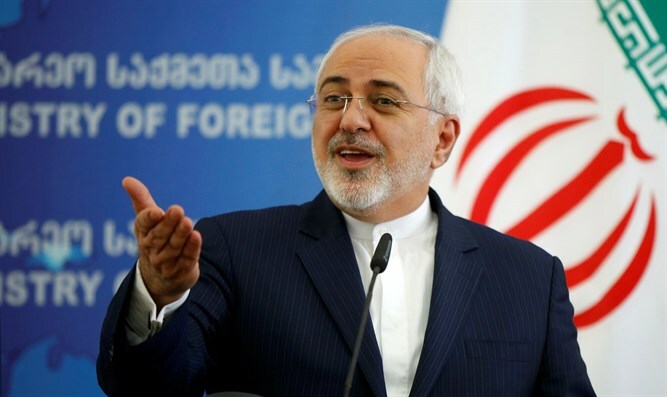 Iranian Foreign Minister Mohammad Javad Zarif on Tuesday responded to Prime Minister Binyamin Netanyahu’s vow to stop his country’s nuclear program, saying that Israel was to blame for the problems in the Middle East. “Despite Netanyahu’s claims, the fact is that illegal occupation lies at the heart of most of the calamities in our region,” Zarif wrote on Twitter. “Historically, occupying another’s land has never been sustainable. This occupation, too --and the apartheid system that perpetuates it-- will not last long,” he added. Speaking earlier at the AIPAC Policy Conference in Washington, Netanyahu discussed Iran's efforts to obtain a nuclear weapon, as well as Tehran's growing influence across the Middle East. "The bad news is that bad things are getting worse, and they're very bad. We have to deal with this challenge - and I'm thinking specifically about what do we do about Iran,” he said. "The force behind so much of what is bad is this radical tyranny in Tehran. If I have one message for you today, it’s a very simple one. We must stop Iran. We will stop Iran,” vowed Netanyahu.